The beginning of a new year usually triggers a person’s innate desire to start anew, and that often extends to the desire many have to clean their homes after the whirlwind of the holidays. It can feel so good to organize, clean, recycle and reconfigure your home into a fresh, streamlined environment. 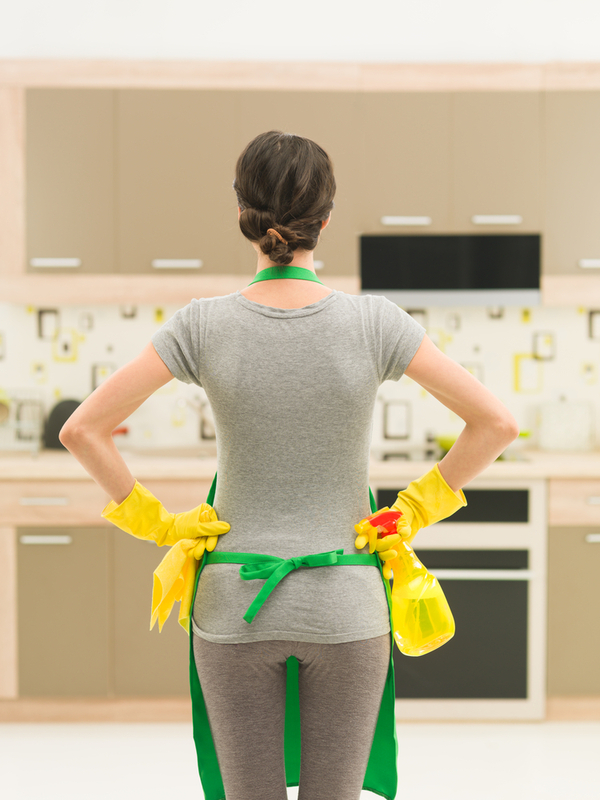 But cleaning your home is usually a huge undertaking, one that sometimes leaves you throwing your hands in the (dust-filled) air and resigning yourself to a job half-done. Common household cleaners are meant to help you clean, spiff and eliminate stains and odors, but many contain harsh (and even toxic!) chemicals. But it’s possible to give your home a much-needed tidying using just the power of natural products, technology and a little elbow grease. Don’t stop until it sparkles, right? We’ve put together some of the most useful (and clever!) tips we could find in hopes of inspiring you this season! Clean the overlooked germ culprits! Cleaned the inside of your dishwasher lately? How about that garbage can? And if you’re using detergent and liquid fabric softener to do your laundry, then add your washing machine to that list too. Running a vinegar rinse through your dishwasher can help eliminate scale and grime; a hot, soapy vinegar-water mix works well for garbage cans, which can also harbor odors and bacteria. Running a clothes-free cycle with bleach and hot water in your washing machine can help remove detergent and fabric softener build-up, or you can consider methods of doing laundry that don’t require either to get clothes clean. Also: look high, look low. Corners, lampshades, baseboards, ceiling fans and air vent covers are all places where dust, dirt and cobwebs can collect. Is your home office a home petri dish? If you work full-time from home or only spend 20 minutes at your desk checking email every day, your home office is a (perhaps surprising) place that needs cleaning. You probably don’t even want to know how grimy keyboards can get (think hotel remote controls)! And when exactly was the last time you wiped down your desk surface with a disinfectant? Same goes for phone receivers, staplers, chair arms, and drawer pulls. Get out the q-tips — it’s time to deep clean some crevasses! Gentle-yet-concentrated cleaners that are environmentally safe can be used full strength to deep clean, or be diluted with water for regular household cleaning. It’s also a great opportunity to go through piles of papers, receipts or invoices, and sort into 3 main categories: active, file or shred. Less clutter on your desk mean less places dust can gather. And that’s always a good thing! If you look closely around your baseboards, the bottom of your doors, floors and certain walls (say, in your utility room), you might notice scuff marks: black, smudge-y and intimidating, your first thought might be that you’re stuck with them or should paint over them. Spices that expired during the Clinton administration? Dented, dusty canned goods? Old medication? Questionable cosmetics? Yes — it’s time to let them go. While old spices and canned goods can safely be disposed of (perhaps even composted), medication’s another story. Flushing them isn’t the answer. Ask your pharmacist what your options for disposal (or, in some cases, buy-back) might be. And although it might be hard parting with a night cream you paid a pretty penny for, if it’s old and/or smells funky, toss it. Trust us: you don’t want that stuff going back on your skin. Luckily, many beauty companies (Lush and MAC, for example) encourage customers to return empty containers to their store, and may even reward them with a free product. Take doormats, kitchen throw rugs and area rugs (small enough to roll up and carry) outside for a good shaking; you’ll be surprised at what — and how much — comes out. If the rug is going back in your home, vacuum it immediately afterward for good measure to remove any loosened debris. If you have bath mats and they’re washable (many are), wash them in your washing machine according to the care instructions on the mat. They’ll be so bright and fluffy afterward, you’ll think they’re new. Clean & de-scale your kettle and coffee maker! In many instances, this kind of cleaning will help maintain the life of your coffee maker. If you use a kettle, it will look better and your tea might taste noticeably better as well. For many coffee makers, running a natural vinegar rinse (check with your manufacturer) can go a long way in de-scaling and removing residue from your machine. Deep breaths: invest in a high-quality air purifier! Cleaning is a must, but sometimes the process can stir up all the dust, allergens and contaminants in your home…which can mean a spike in symptoms for anyone suffering from allergies or asthma within that space. Some air purifiers remove the very things in the air that wreak havoc for those with breathing difficulties, and also work to continuously to treat air and surfaces in your home. These air purifiers are also fantastic for removing tough odors associated with cooking, pets, smoke, and the occasional stinky pile of sports uniforms your kid brings home from practice! So even if your home isn’t immaculate, it can smell like it is!